A minister has claimed lives would be at risk if a threatened strike by fuel tanker drivers went ahead as the conciliation service Acas invited oil firms and union negotiators to talks aimed at averting the biggest disruption to supplies since 2000. Francis Maude, the Cabinet Office minister, also suggested motorists should fill jerry cans with extra fuel before any strike despite motoring organisations and fuel companies warning people not to panic-buy. He said a “couple of hundred” military tanker crews would be trained to cover for striking tanker drivers to maintain supplies to garages as well as hospitals and schools. Maude’s intervention on Wednesday came after Labour accused the government of talking up a potential crisis when opportunities remained to resolve the dispute. The planned action by Unite members over terms and conditions and health and safety standards follows votes in favour of strikes by workers in five of seven companies involved in the row. These have raised the threat of walkouts over the Easter weekend, when millions of families will take to the road for the first major holiday of the year. 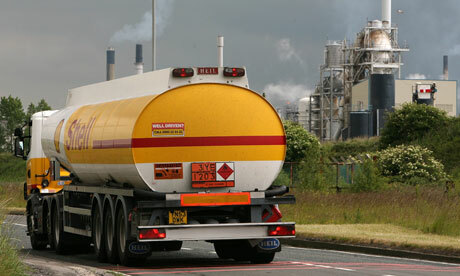 Other tanker drivers might not cross picket lines. The seven companies are responsible for 90% of supplies to forecourts. Speaking outside the Cabinet Office in London, where David Cameron is to chair a meeting of ministers on contingency plans later on Wednesday, Maude said there was no need for anyone to “rush” to a petrol station. But he advised people to fill up any spare jerry cans with petrol to prepare for the impact of any action, even though Unite hasn’t yet called any strikes. Unite has to give seven days’ notice of any walkouts. Maude said he wasn’t sure what the dispute was about, accusing the union of being “irresponsible” and suggesting it was part of its leader Len McCluskey’s “grand plan” to grind the country to a halt. The Ministry of Defence said using military personnel was “in discussion” across government. “There is a possibility that military personnel might be required but we don’t know yet whether that will be the case,” said a spokesman. The move by Acas follows a request by the energy secretary, Ed Davey, for conciliators to approach all sides to attempt to negotiate a settlement. Davey also urged Unite to get round the table. Unite said its was considering its response to the Acas offer and a suggestion from Davey that the union and companies should reconvene a forum in which they could discuss health and safety issues. Miliband has said a strike should be avoided “at all costs”, while the shadow transport secretary, Maria Eagle, condemned ministers for being “reckless” in their apparently “tough” stance, accusing them of scaremongering. A Number 10 spokeswoman said on Tuesday people should look at their contingency plans “because, should there be a dispute, which is something obviously we want to avoid, then disruption is inevitable”. She added: “Therefore people should look at their contingency plans and particularly businesses. The government is doing what it can in terms of contingencies, learning lessons from previous fuel disputes. However, Eagle said: “It would be completely reckless of ministers to give the impression that people should be panic-buying, which, as the AA has rightly warned, could lead to shortages even while there is still an opportunity to resolve this dispute. Unite represents around 2,000 drivers who deliver fuel to Shell and Esso garages as well as supermarkets such as Tesco and Sainsbury’s. It has written to Davey setting out its case for minimum standards in the industry, covering pay, hours, holiday and redundancy arrangements. Unite’s assistant general secretary, Diana Holland, said in the letter: “We have been tireless in seeking talks to avoid industrial action, but we have been frustrated at every turn. In his response, Davey suggested a forum involving Unite and the main haulage companies should be reconvened. The companies have indicated they are prepared to engage with the forum, which did discuss health and safety. A spokeswoman for Esso said: “At this stage no strike dates have been called and the potential remains for a resolution to the matter.